Einstein ke 50 Anmol Vichar - Elbert Einstein was a great Scientist and a Nobel Prize winner. He had gotten citizenship from many countries. Even he is mentioned as father of Modern Physics into many Books. Some Dictionaries have reserved Einstein as a plural of wise. 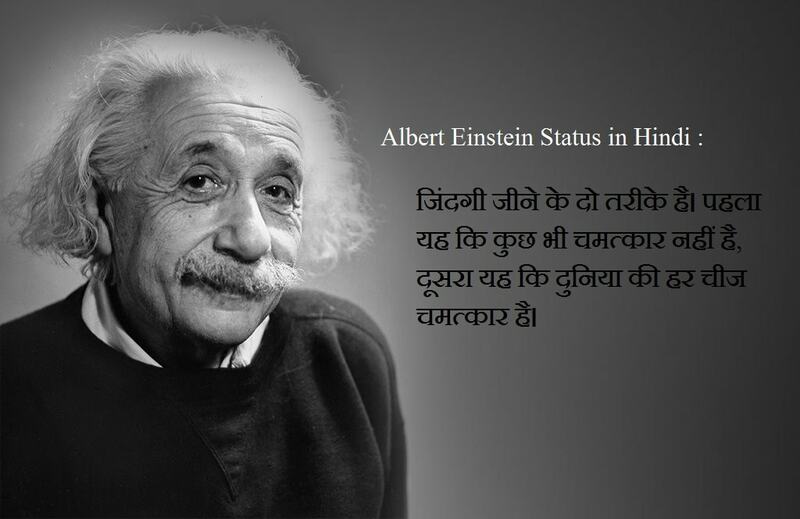 So today I have made a collection from some of popular Einstein Hindi Quotes. एक मेज, एक कुर्सी, एक कटोरा फल और एक वायलन ; भला खुश रहने के लिए और क्या चाहिए?